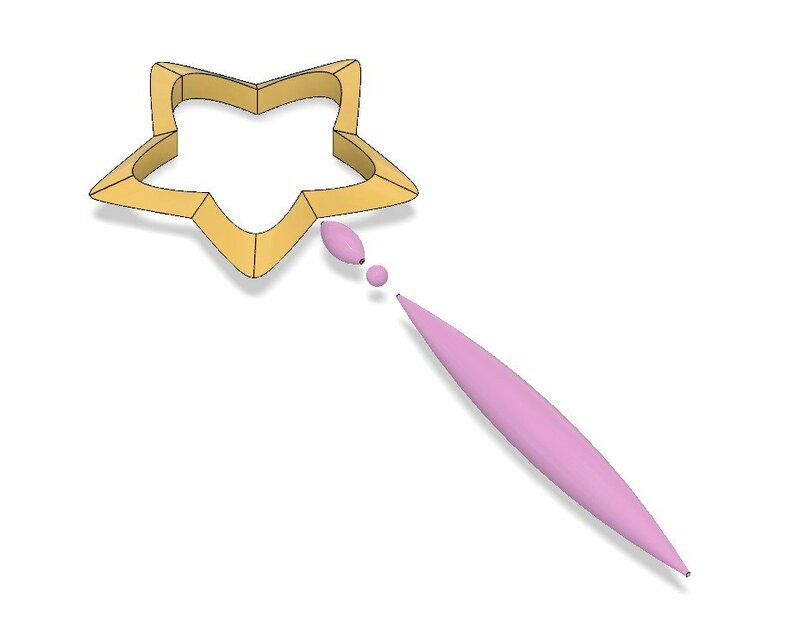 I was asked to design the star for the wand that magically appears a a blob in the music video Girl by DAOKO. I was told it turned out great! I added a few more files into the mix to help create a great star wand. There’s a completely solid wand, a wand that fits a clear .25 inch dowel, and a wand with standalone pieces. The wand measures approximately 19 inches by 7 inches by 1.25 inches. All of the files can be scaled up or down pretty reliably, but the files with dowel in the name are specifically designed for that quarter inch in diameter dowel. What beauty will you bring to our monotonous world?